A bill that would create a state employee pilot program for direct primary care was advanced from general file March 12. 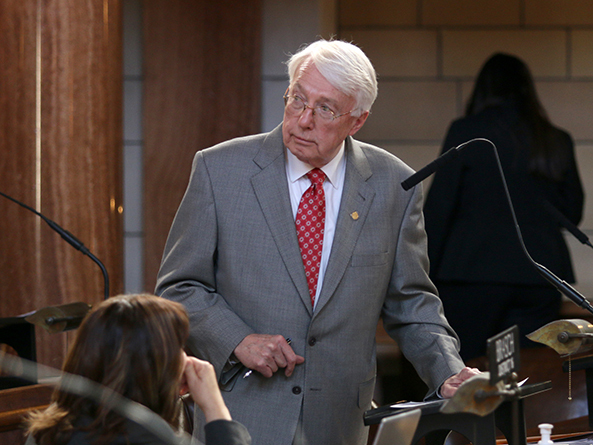 LB1119, sponsored by Ralston Sen. Merv Riepe, would create a pilot program for state employees eligible to participate in the Nebraska state health insurance program. The three-year pilot program would begin in fiscal year 2019-20 and require that the state insurance program include at least two primary care options—one high-deductible and one low-deductible—for state employees. Employees of the University of Nebraska system, state colleges and community colleges would not be included in the pilot program. Riepe said direct primary care focuses on developing a strong relationship between doctors and patients that allows individuals to obtain care without worrying about co-pays or insurance claims and deductibles. Riepe said that New Jersey recently began a similar voluntary direct primary care pilot program that enjoys strong support from all parties including organized labor. • minimize the risk of gaps in care. Providers would receive a monthly payment of a per-member, per-month fee for each enrollee and would be required to continuously monitor care quality measurements. The state Department of Administrative Services would provide the Legislature an annual report on the clinical and financial performance of the program. The bill also would establish minimum standards and patient satisfaction measurements—which a provider must continually monitor—including a patient engagement measurement and a prevention measurement. • tobacco cessation and alcohol misuse screenings. Lincoln Sen. Mike Hilgers, who made LB1119 his priority bill for the session, said the rising cost of health care is one of the most important issues facing his legislative district. While direct primary care is too new to have been subjected to a significant peer-reviewed study, he said, the early findings are promising. Individuals with direct primary care agreements see their physician more often, he said, which results in early intervention, fewer emergency room and urgent care visits and better health outcomes. Direct primary care also has the potential to increase the quality of life for health care providers, who can see fewer patients and spend less time dealing with insurance companies, he said. “This is another step forward in the direct primary care movement and I think it’s a wise use of currently allocated tax dollars to help innovate and provide a little more momentum to this effort, which I think will have significant outcomes for Nebraska families and workers around the state of Nebraska,” Hilgers said. Sen. Mark Kolterman of Seward agreed, saying that for $600 a year an adult in Nebraska with a direct primary care plan could have their basic health care needs addressed and have increased access to their provider. A pilot program for state health care workers would include major-medical insurance for issues that direct primary care does not cover, he said. 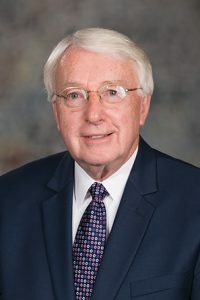 Omaha Sen. Bob Krist raised concerns regarding the bill’s fiscal note, which states that the pilot program’s start-up costs cannot be estimated. Passing a bill without knowing the cost—either in the current fiscal year or in the future—is problematic, he said. “[Direct primary care] could be the best thing since sliced bread … it could be great preventative medicine, but if we don’t know what it costs, how can we vote for this?” Krist said. Riepe said there was “every reason to believe” that the bill would result in cost savings in the future. In addition, he said he would bring an amendment during select file debate that would align the bill’s timeline with the negotiating cycle of the state’s public employee union. LB1119 advanced to select file 30-0.